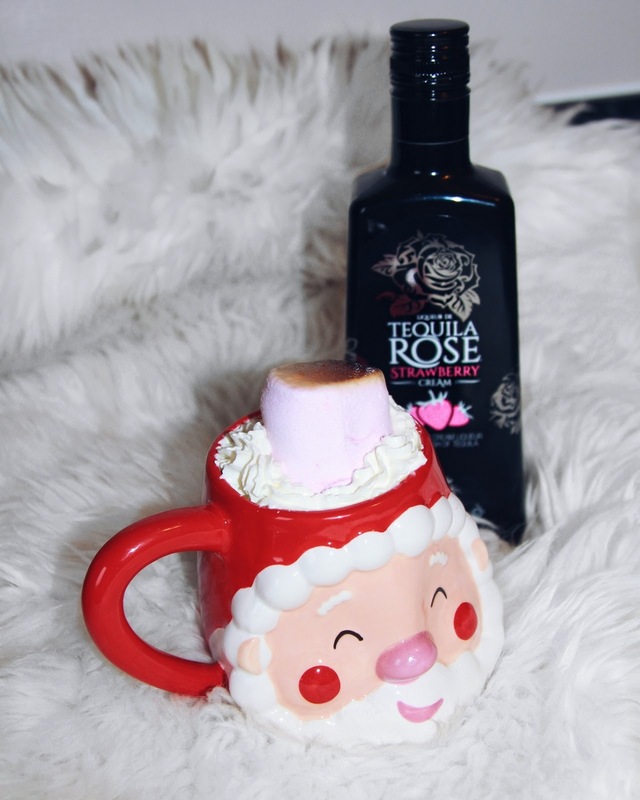 Fancy trying an indulgent festive hot chocolate that will warm you from the inside out? 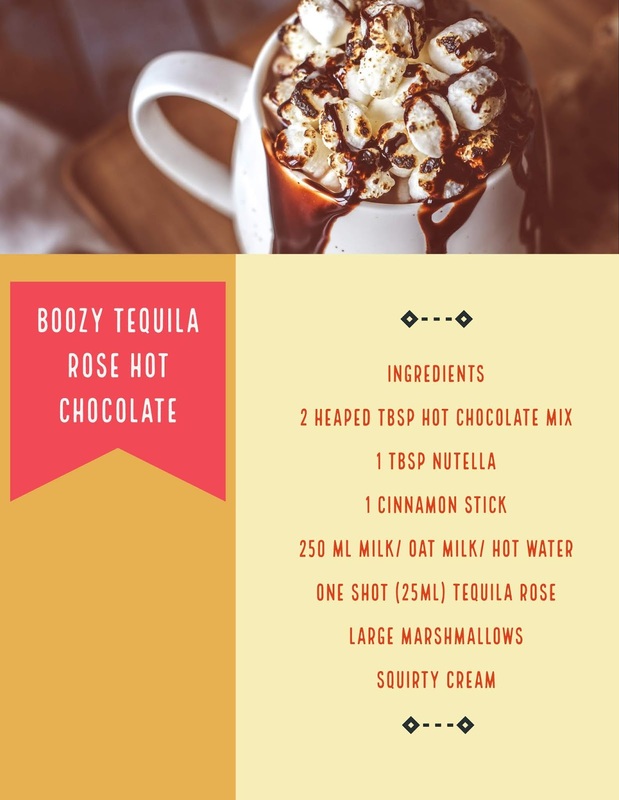 This boozy Tequila Rose hot chocolate recipe is so easy to make and tastes good enough to drink whilst watching your favourite Christmas movie. I think I will make mine to drink during Elf. In a pot over medium-high heat, bring the milk to a simmer with the hot chocolate powder. Add in the Nutella, stirring until it has melted and become incorporated. Add the cinnamon stick and shot of Tequila Rose and bring to a simmer. Using the grill of your oven or a blow torch, toast the marshmallows on a lined baking sheet and leave to crisp up until golden. Ladle the hot milk mixture into the mugs and serve with fresh whipped cream and the marshmallows.